May has been full of fairs: Arch Moscow, ICFF and NY Design. As always, Dune has been very aware of the latest trends in decoration. As we saw in Il Salone del Mobile of Milan, the tropical grounds, especially in wallpapers, give the touch of fantasy stays that seem to transport you to beautiful places. Awareness of sustainable materials invites us to collaborate in the conservation of the environment through the design. And tissues acquire great importance as wood does. 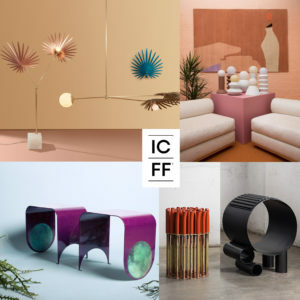 Focusing our view on International Contemporary Furniture Fair (ICFF) in New York, the decorative objects that stand out are lighting and tables. We leave our favourite products.